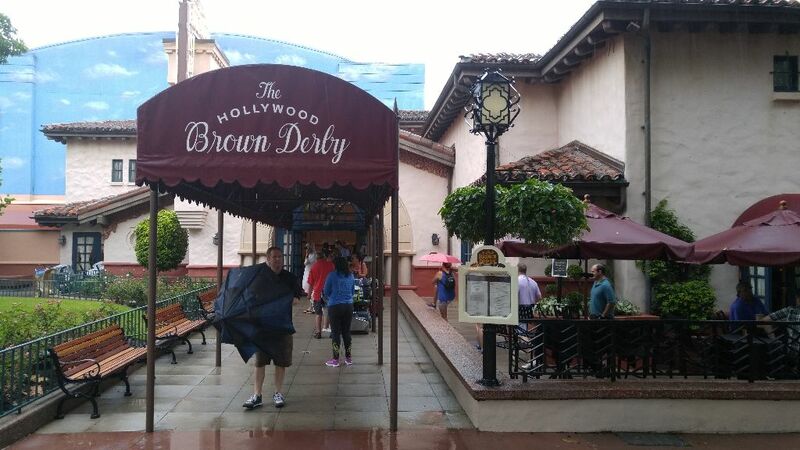 Our latest review is that of The Hollywood Brown Derby in Disney’s Hollywood Studios. We recently made it out there for dinner and had quite possibly one of the most complete dishes we’ve had on Disney property. 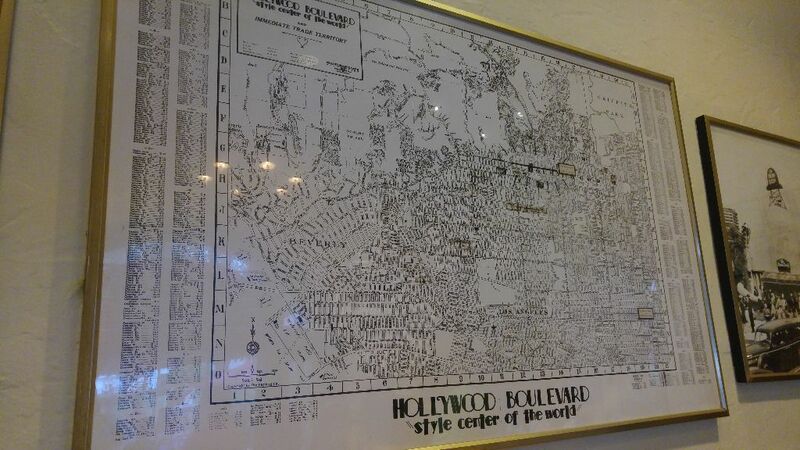 At the end of Hollywood Boulevard, before you reach the Grauman’s Chinese Theater, you’ll find The Hollywood Brown Derby. 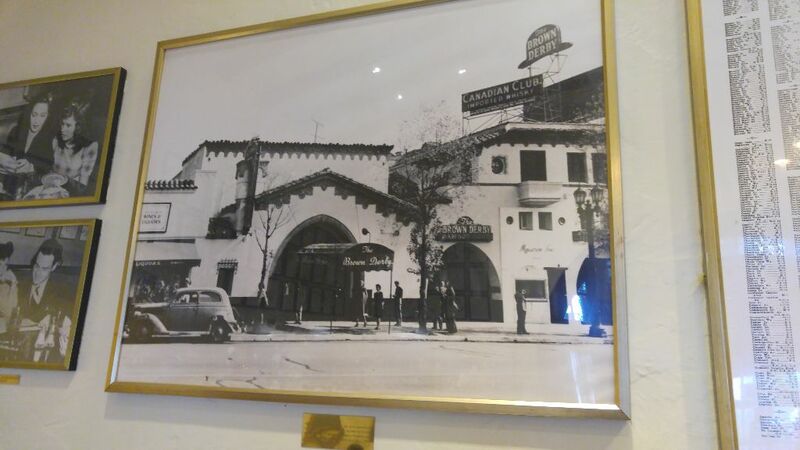 A nod to the Golden Age of Hollywood and the famous line of restaurants of the same name, the Brown Derby is a nice place to slow down and enjoy a meal in a quiet setting. 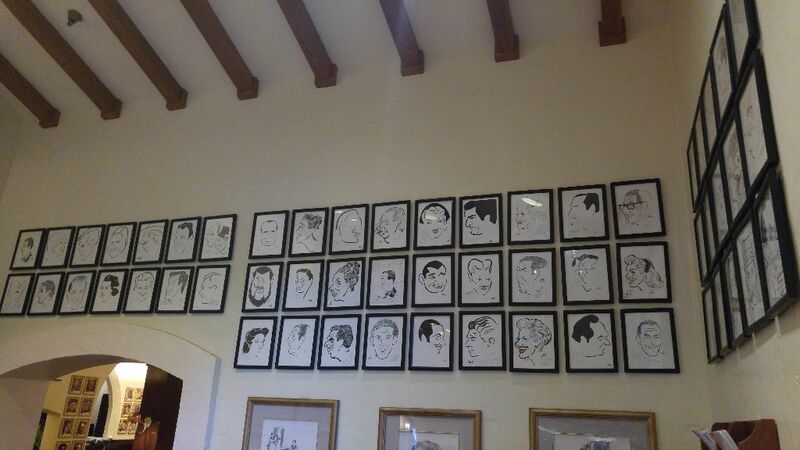 When you enter the lobby, the first thing you notice are the famous caricatures lining the walls. 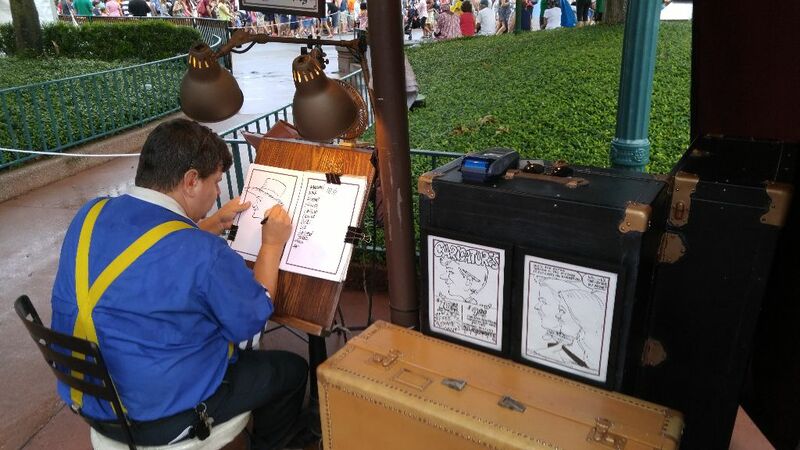 As a bonus, there is usually a Cast Member set up just outside the entrance to The Brown Derby should you want your very own caricature. 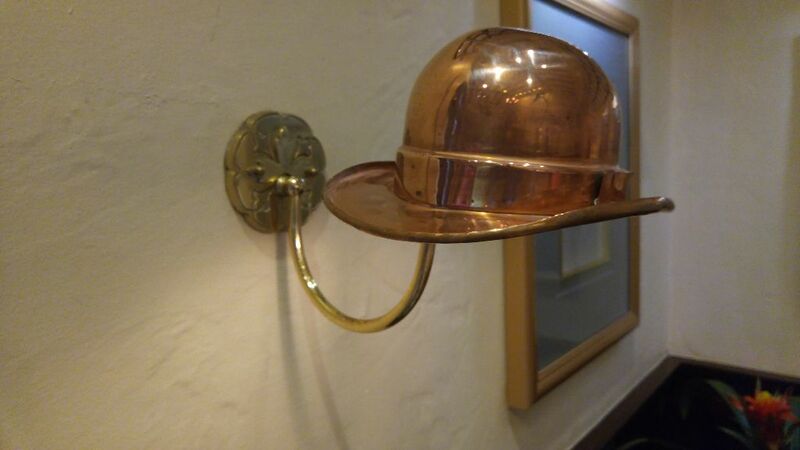 One of the decor pieces that I enjoyed the most was the use of bowler hats for the lighting throughout the restaurant. More decor pics. 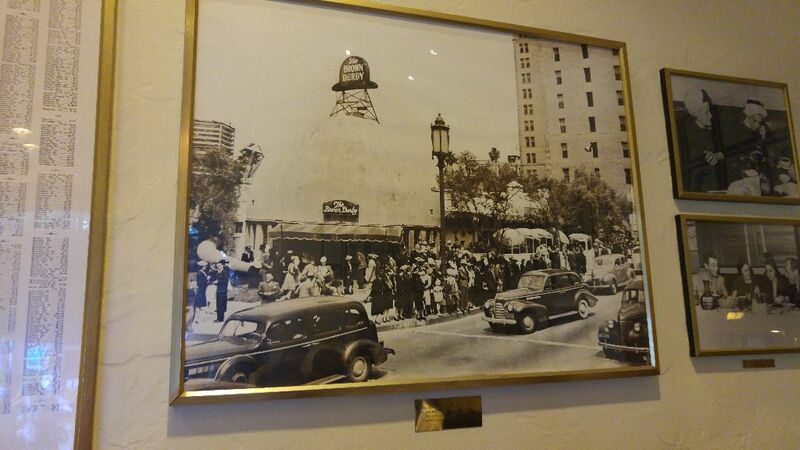 Including photos of the original Brown Derby and the original Hollywood Brown Derby. 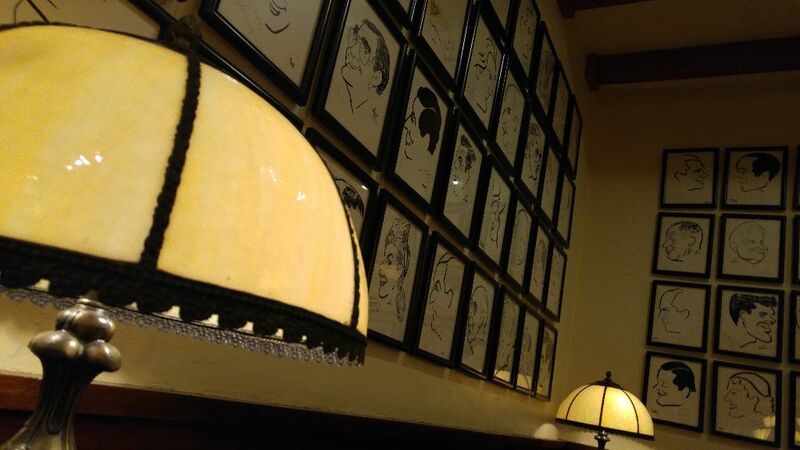 Overall, The Brown Derby has a nice, quiet feel to it. I personally think it would benefit from a little darker lighting, especially at night. The only time our peace and quiet was disrupted was when the neighborhood teen pulled in late at night with the music blasting; that is, the Frozen Summer Fun – “Coolest Summer Ever” Dance Party that kicked off around 6. On to the food! Dinner menu prices range from $30 – $50. Take a look at the menu here. 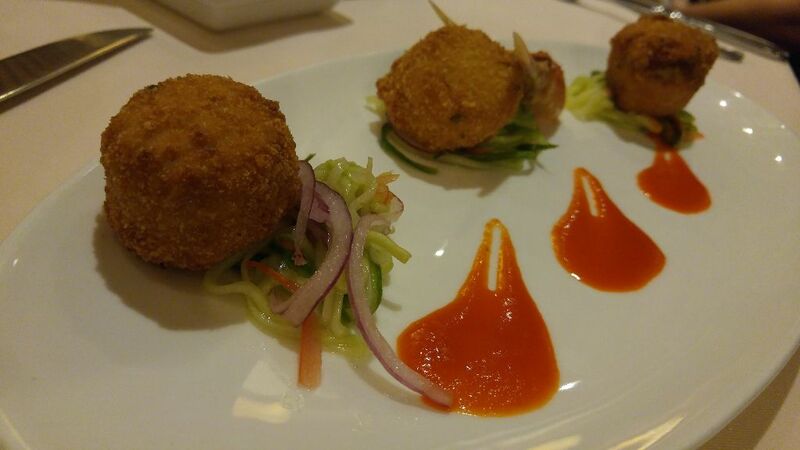 After the standard dinner rolls, we started with the Crispy Jumbo Lump Crab Cakes. They tended towards the spicy side, but had a nice flavor to them. A nice appetizer to be sure, but it might benefit from a price point closer to $10 instead of the current $15 cost. After that it was onto the main course of Roast Rack of Lamb. 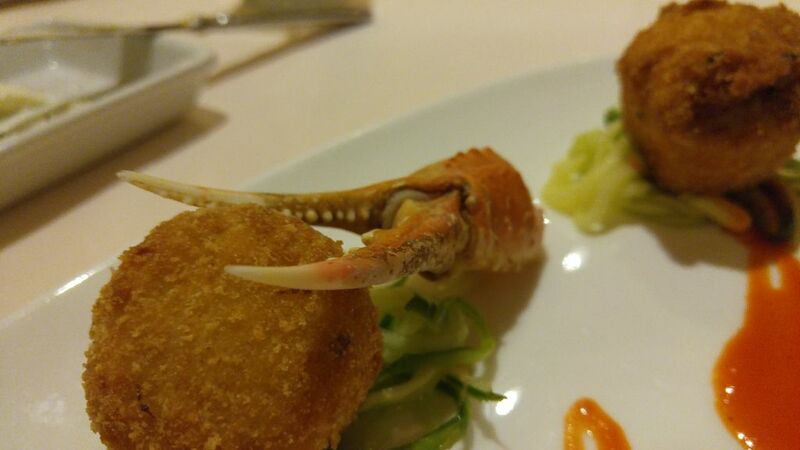 Of all the meals I’ve had on Disney property I would have to say that this was one of the best. I ordered the lamb medium and it was cooked perfectly. Easy to remove from the bone and wonderfully soft. 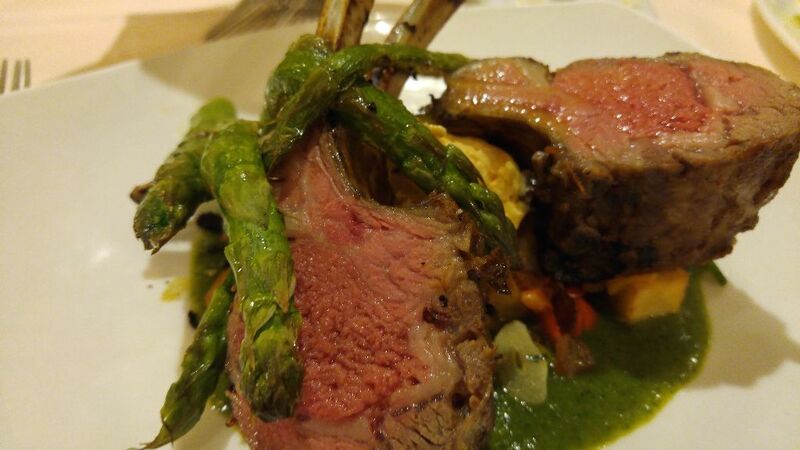 The Salsa Verde added a wonderful flavor to the lamb and hash alike. 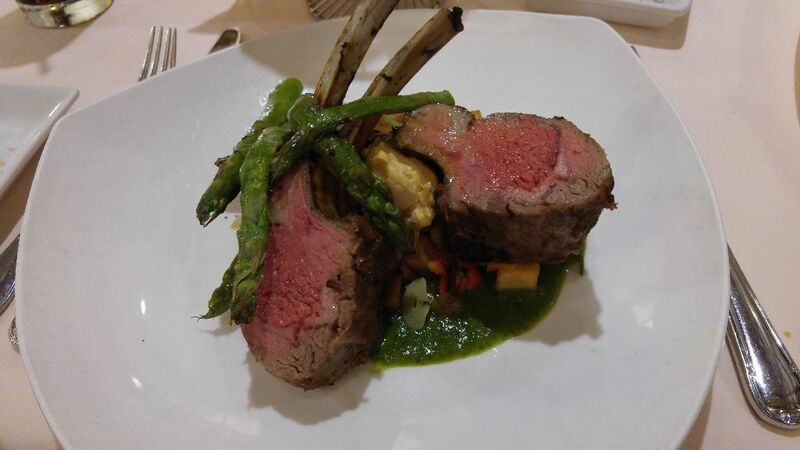 The asparagus was also wonderfully flavored and accompanied the meal wonderfully. 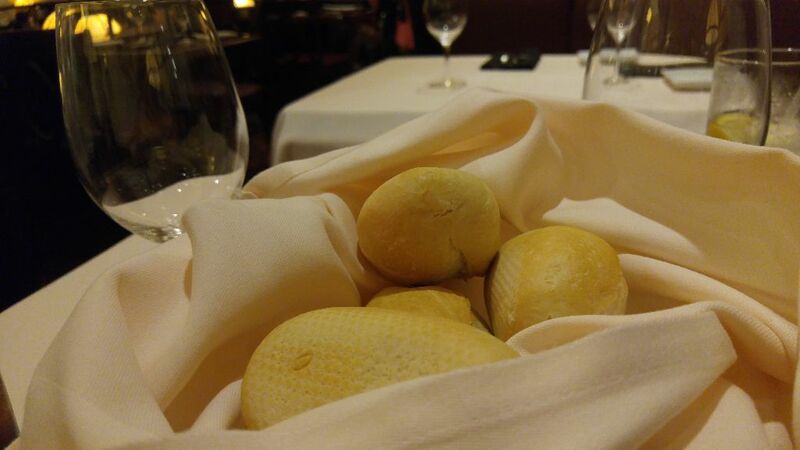 We chose to forego dessert, but here at the Brown Derby it is offered in a trio. 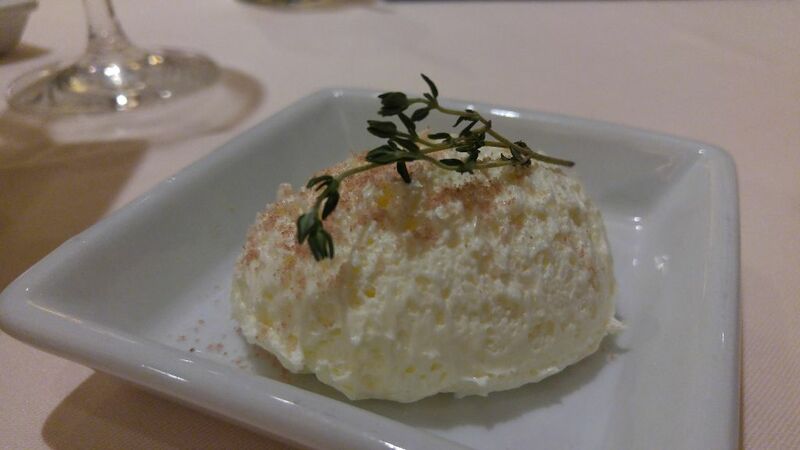 You can choose three different pairings from a selection of six desserts. With offers such as Crème Brûlée, Amaretto Flan and Opalys White Chocolate Whip, and Warm Blueberry Cobbler (among others), I’m thinking a return trip to the Derby is in order. 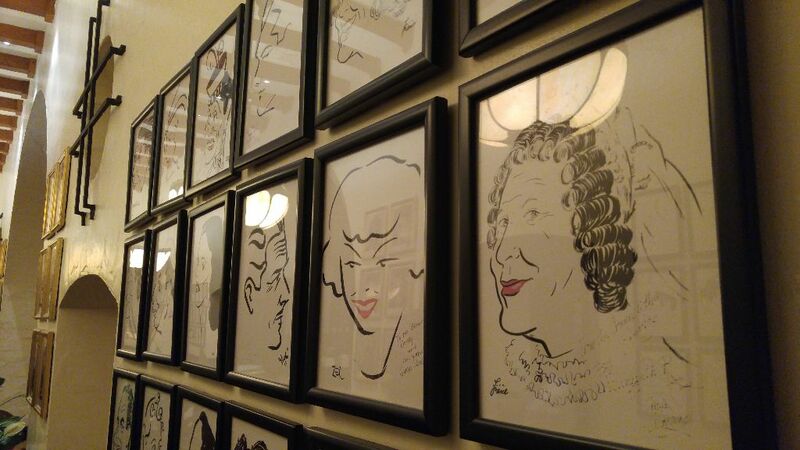 I thoroughly enjoyed our dinner at The Brown Derby and plan on making it back soon! 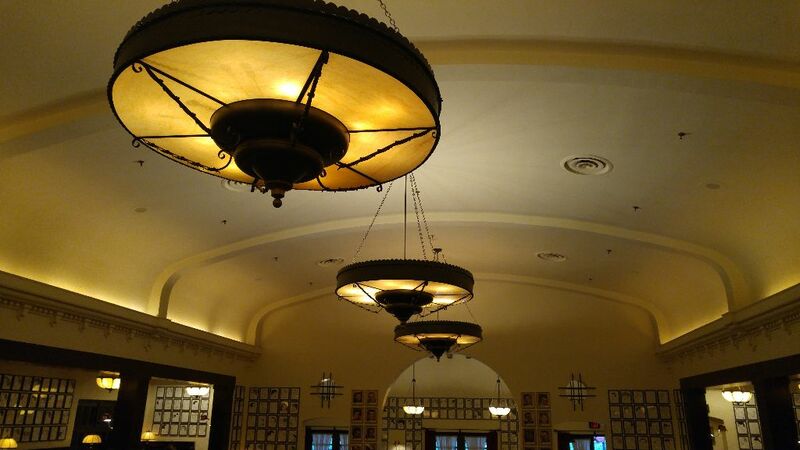 As always, if you’re having trouble getting into The Brown Derby or any restaurant on Walt Disney World Resort property, give WDWTableFinder.com a look. 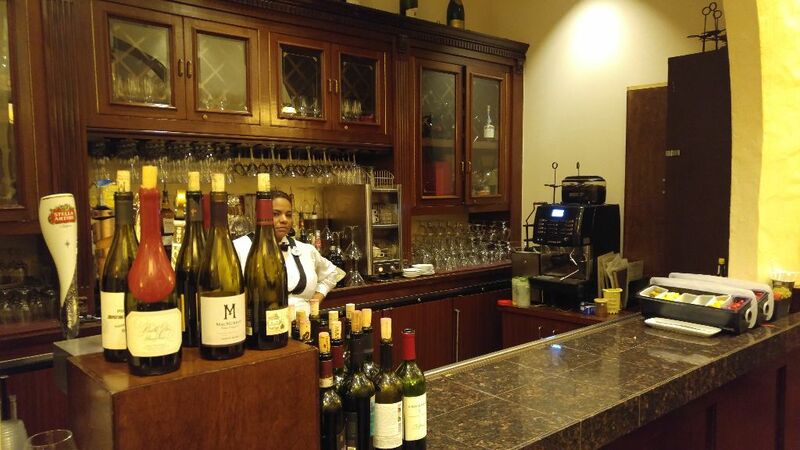 It will watch for open tables 24/7 and alert you when a reservation opens up.